The Porsche 911 Carrera in all its versions is perhaps the most iconic sports car that the German based carmaker has ever given to its fans, proving to be a revolutionary car with extraordinary performance. And in the latest generation, the 911 Carrera has yet a lot to offer, the carmaker adapting the model to the latest technology available on the market in terms of performance. But the more potent 911 Carrera S is also the rear proof that the lineup itself is taking the sports car concept to a whole new level. We already know that Porsche has pulled off the naturally aspirated six-cylinder engine, to make room for the more advanced twin-turbo engine, fitting the 911 Carrera lineup. This means that the new-gen 2016 911 is powerful than ever, with the 3.0-liter twin-turbo mill, developing 370 horsepower and 450 Nm of torque in the standard Carrera, and 420 horsepower and 500 Nm of torque, in the Carrera S.
But perhaps the most innovative thing that the engine has brought along is the lower CO2 emissions, which perfectly comply with the latest legislations. 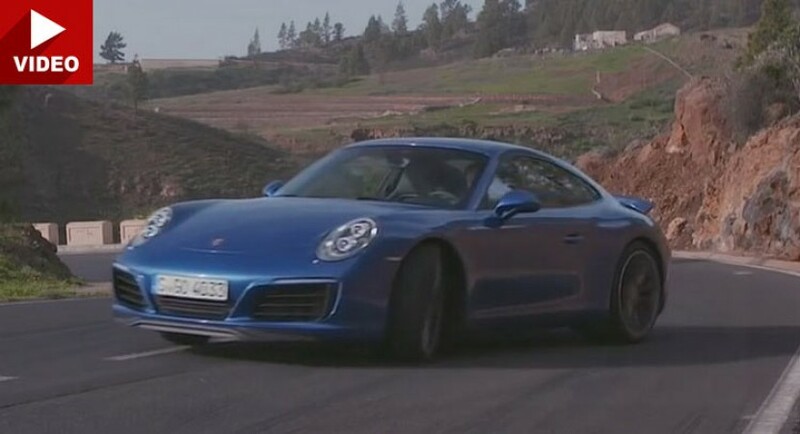 We will not reveal the results of the test the 911 Carrera S was put trough, instead, you should watch the video below, which is more suggestive than 100,000 words! Also, don’t forget to share your opinions with us!